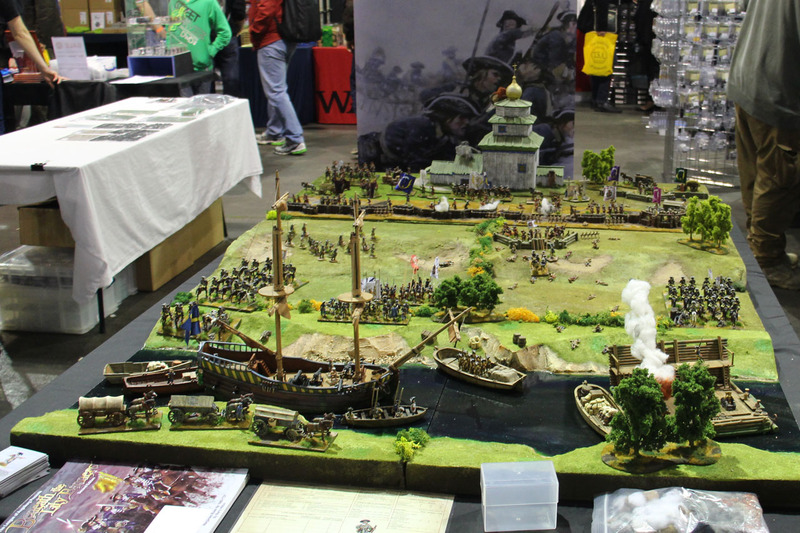 Let's continue with some traders and producers of fine miniatures. 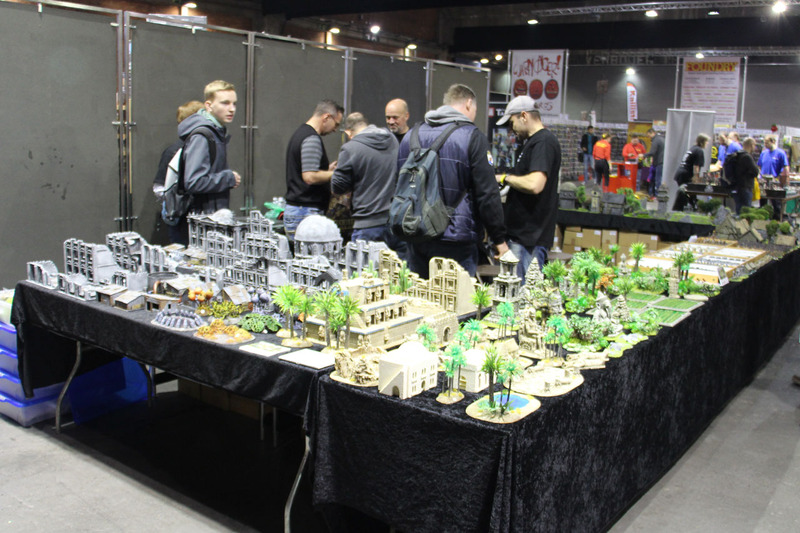 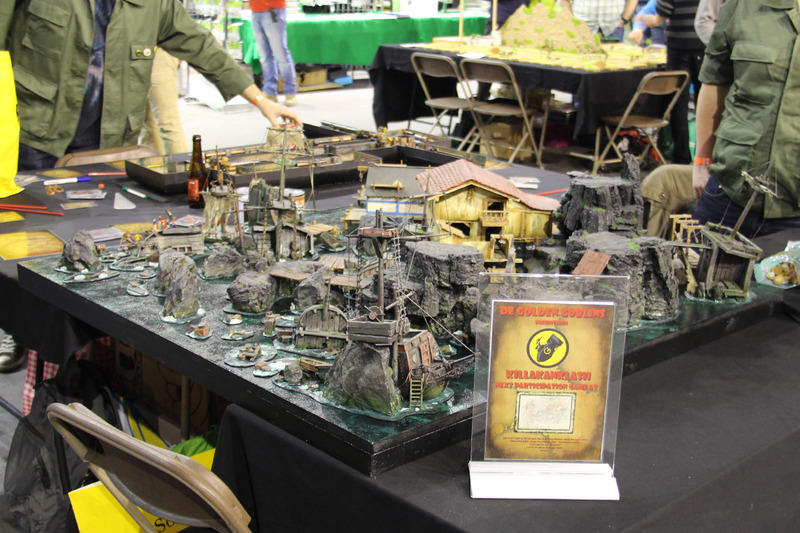 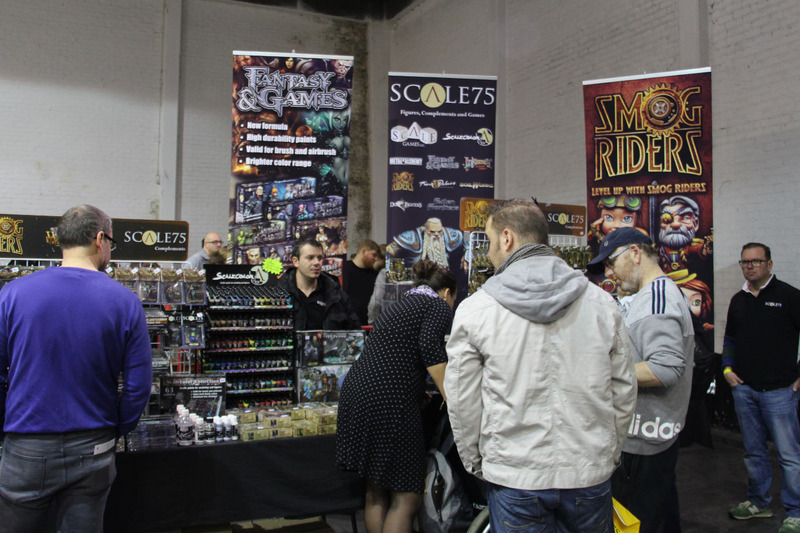 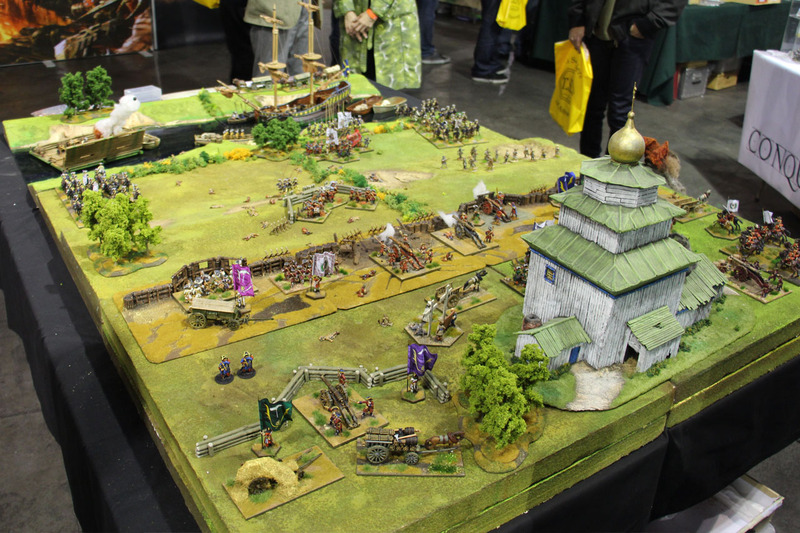 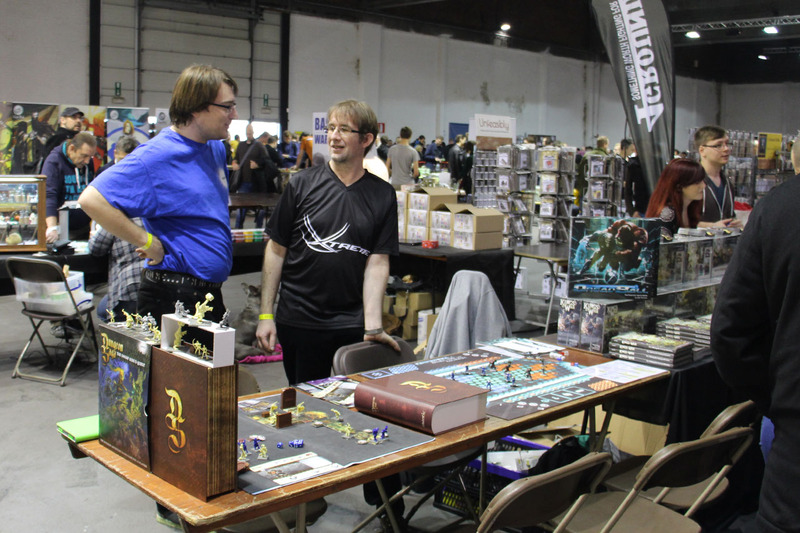 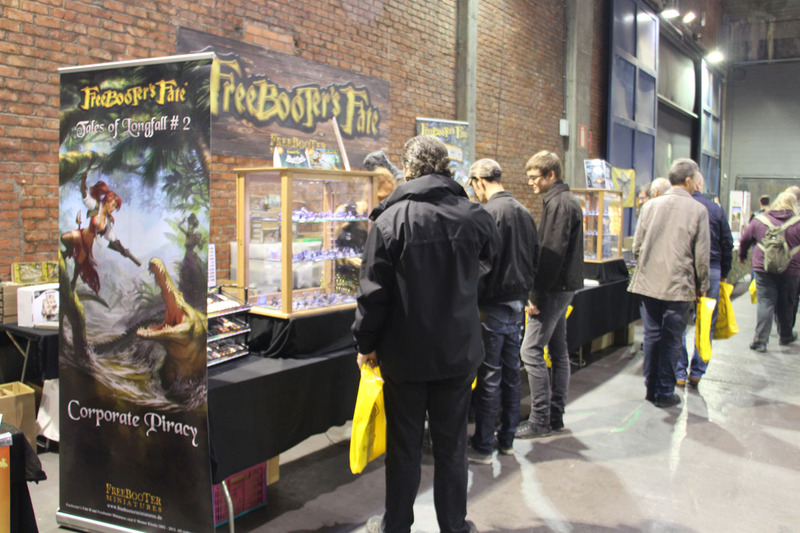 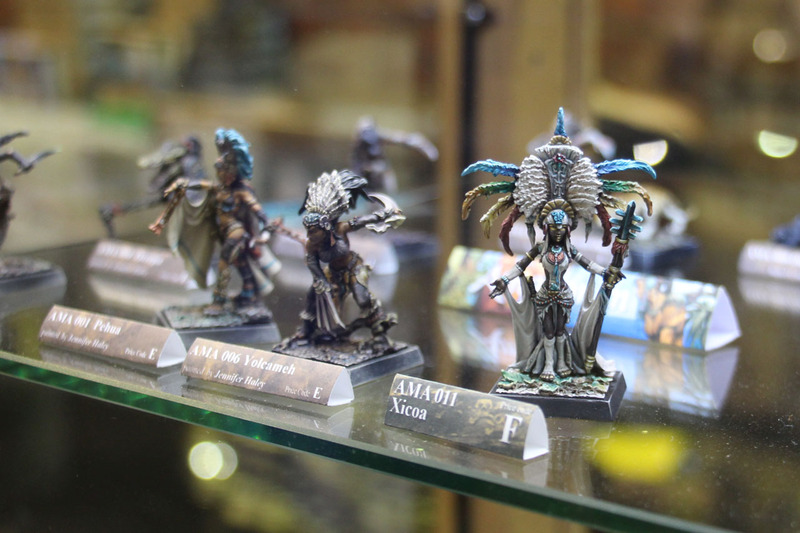 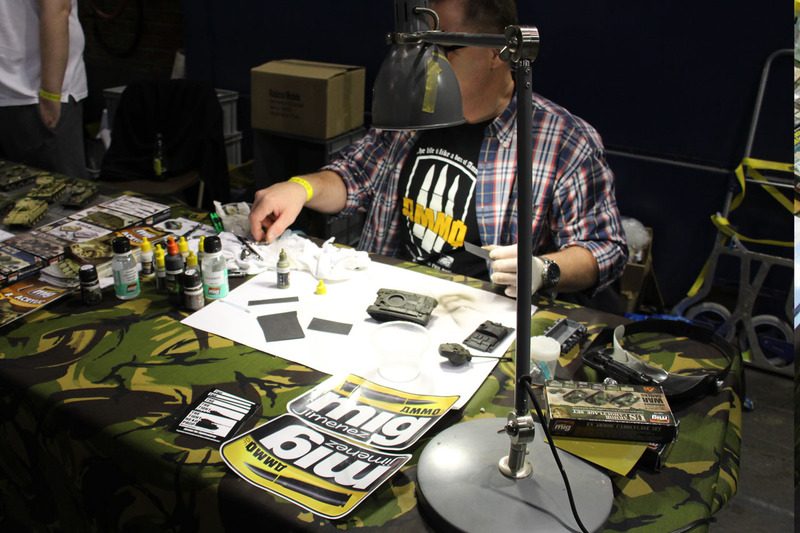 Freebooters Miniatures is a familiar and regular guest at the Show. 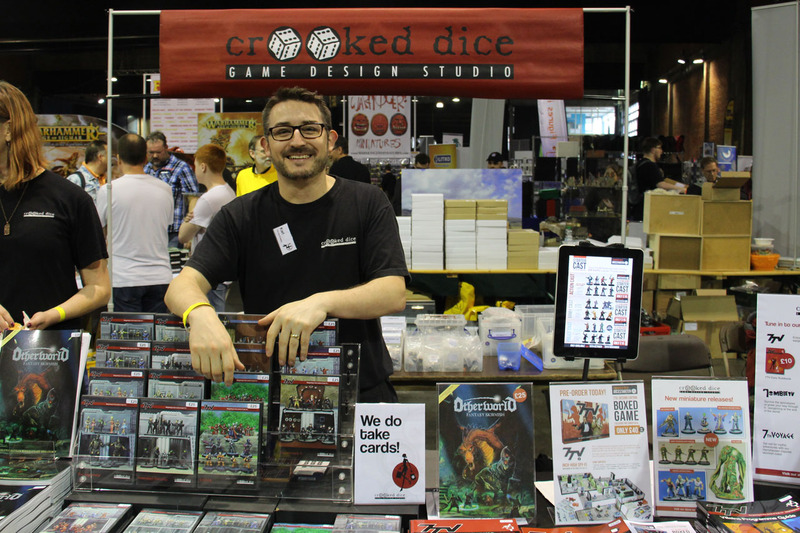 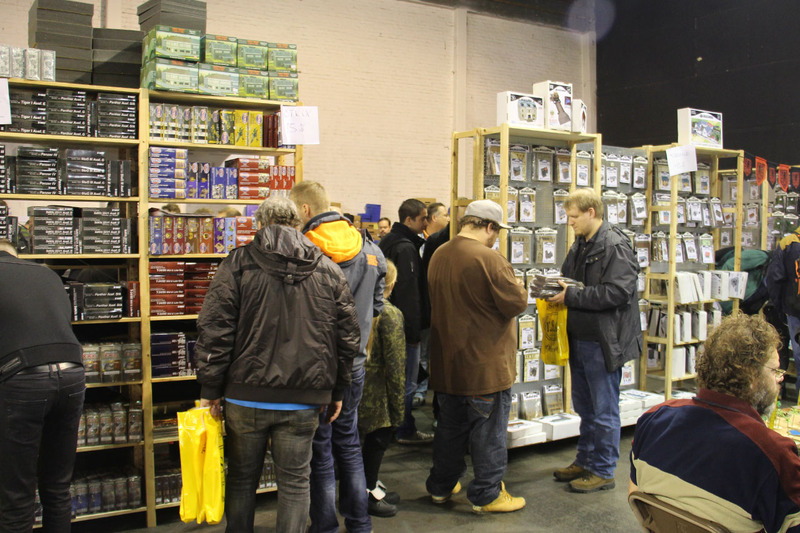 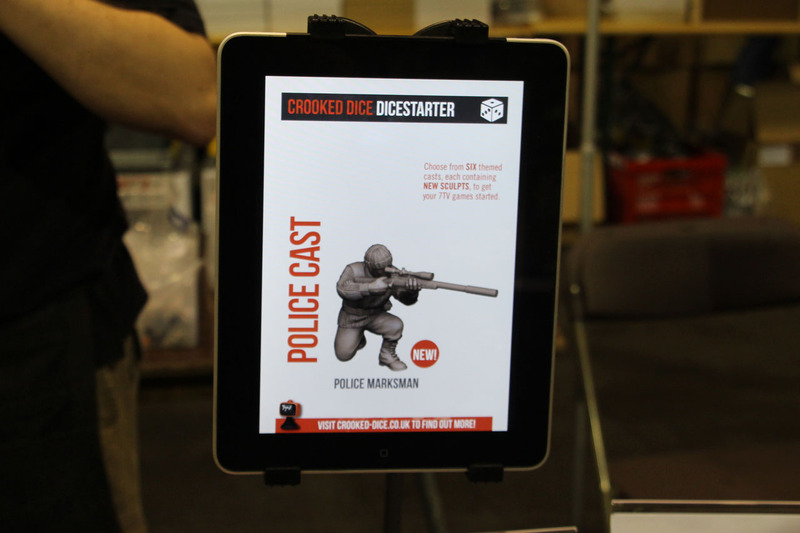 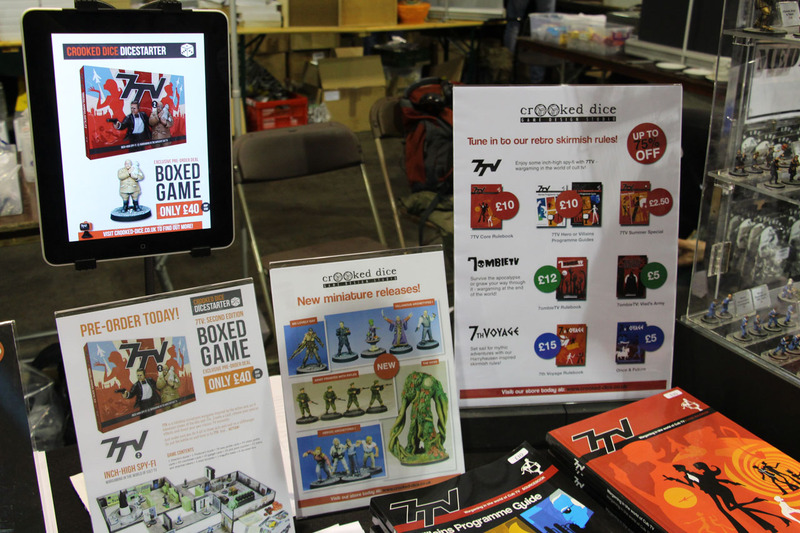 In case you missed the novelties at Spiel, you had the chance to see and get them at Crisis. 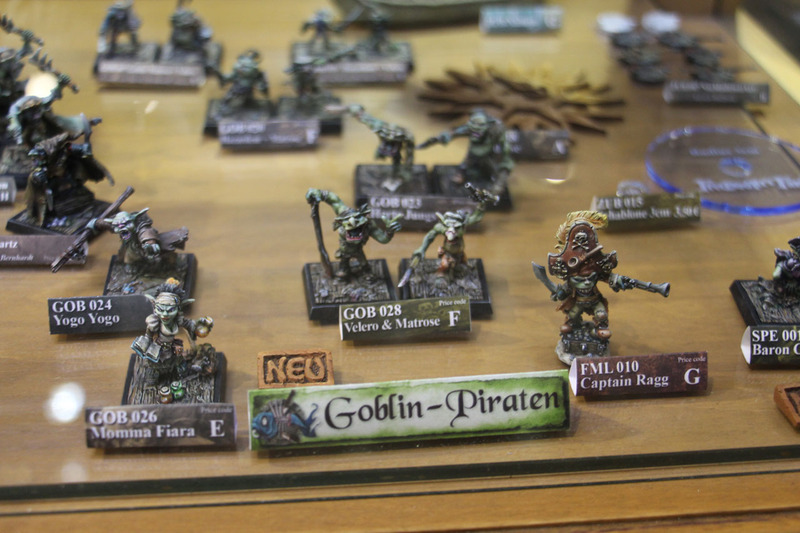 Another german company at the Crisis was Fantasy Warehouse. 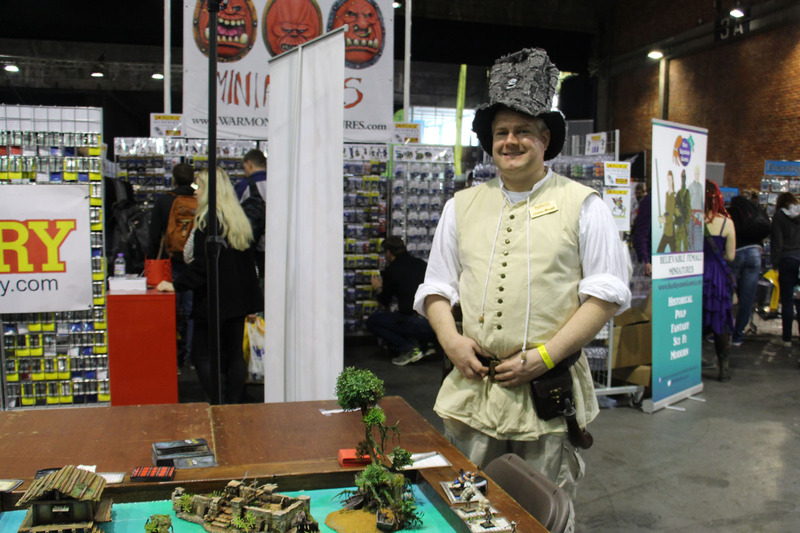 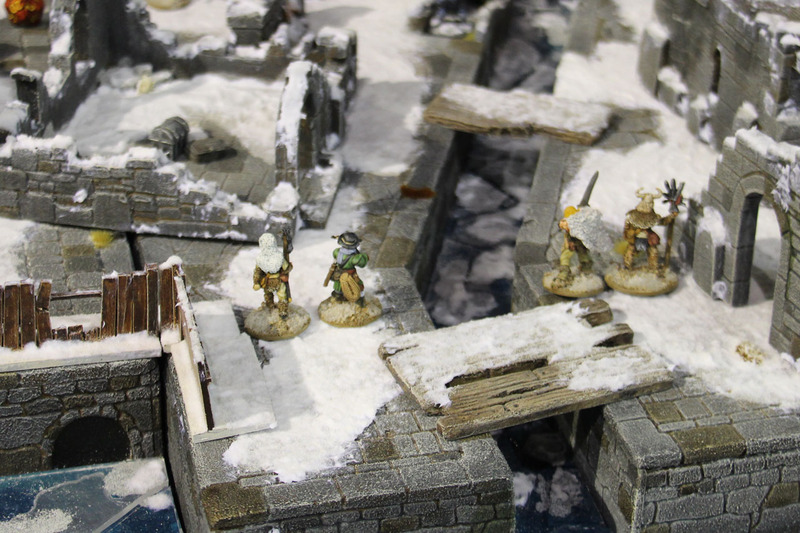 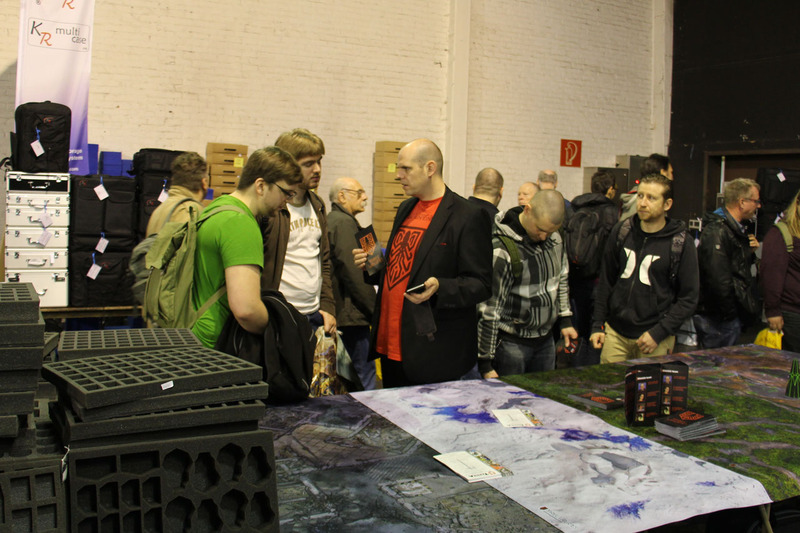 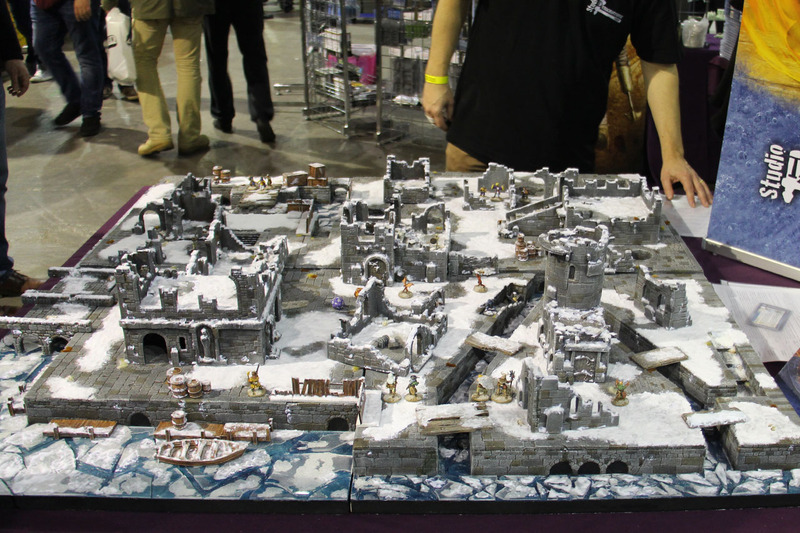 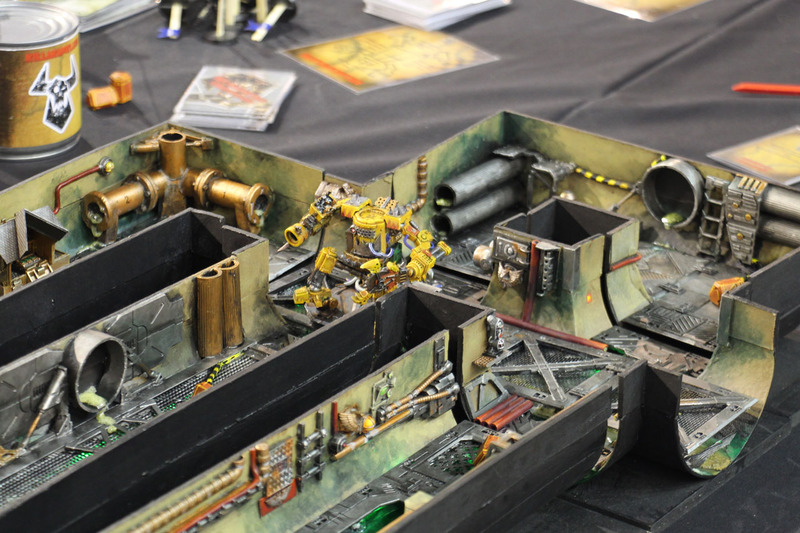 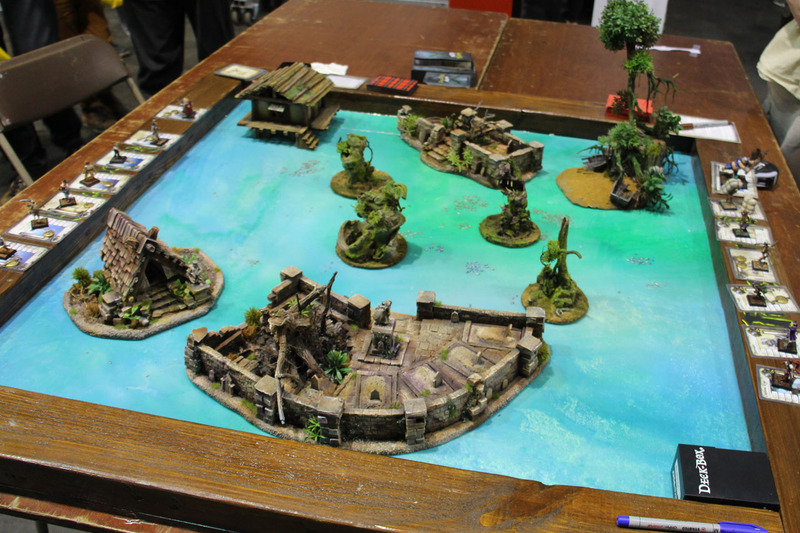 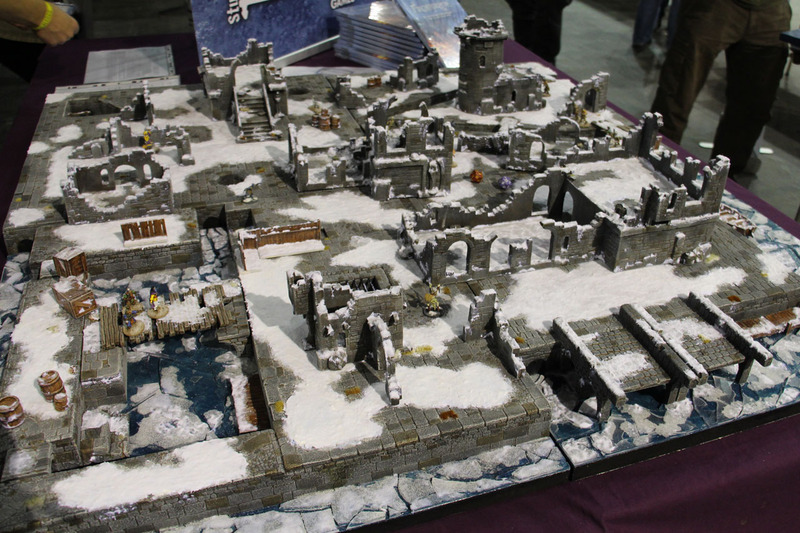 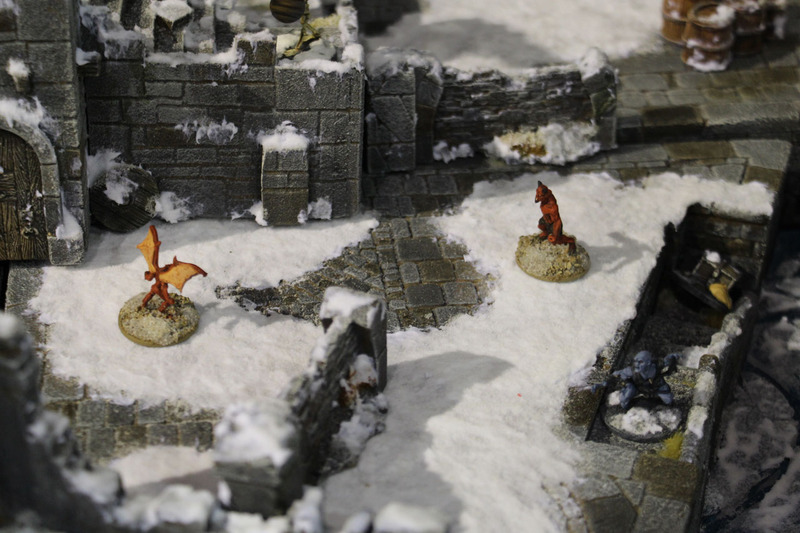 He was supported by Kraken Wargames, who currently have their gaming mat Kickstarter running. 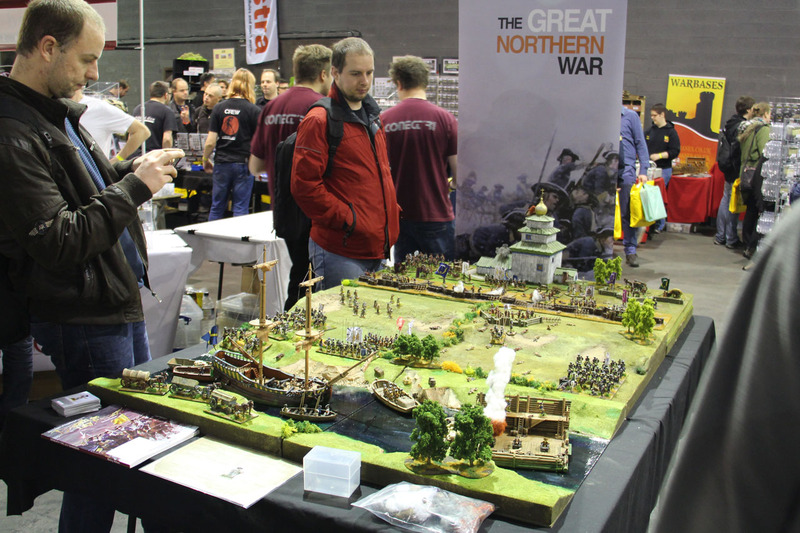 League of Augsburg / Warfare Miniatures covered a Great Northern War table. 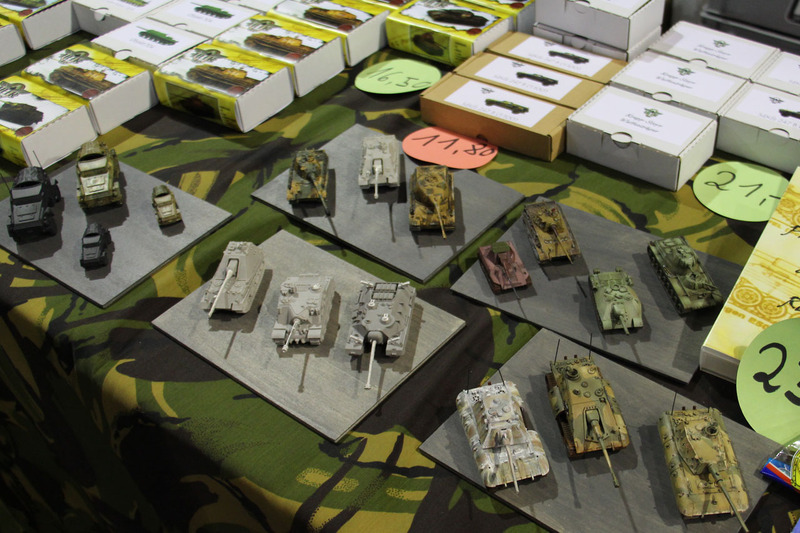 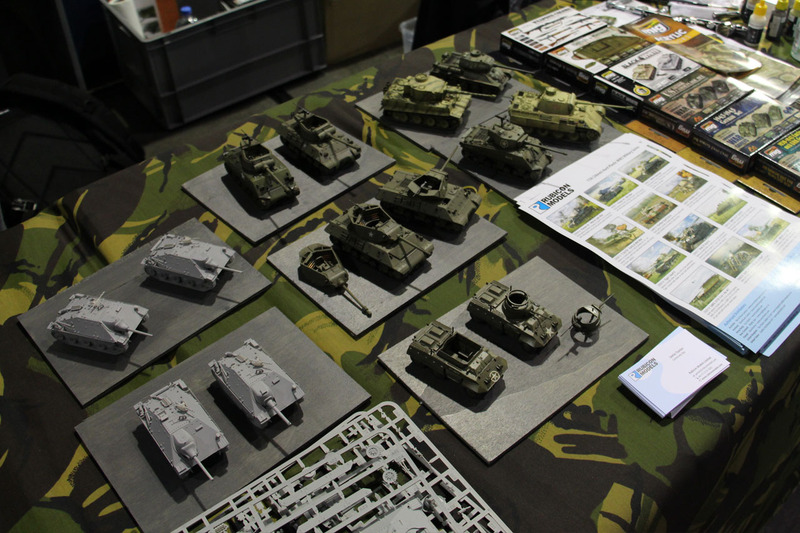 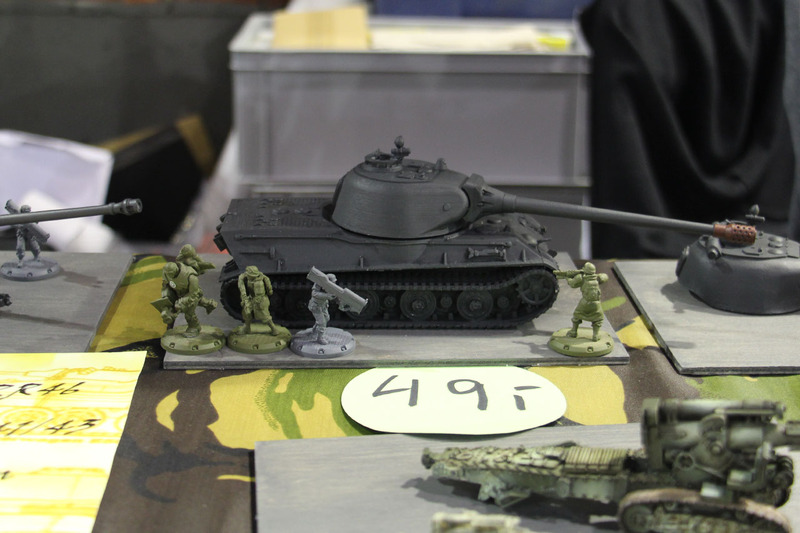 Heer46 was supported by Rubicon Models, who brought some upcoming releases as well as the sprues of the new Hetzer kit. 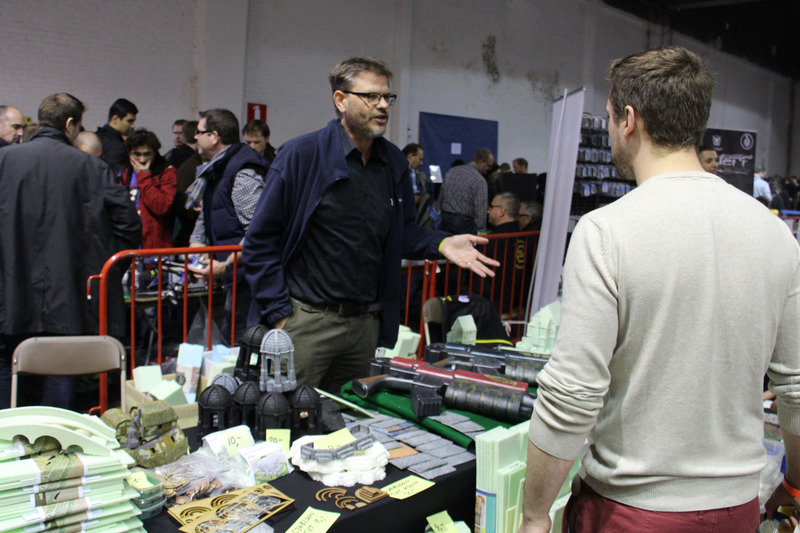 Denis invited Carsten, Tightheadprop, who was showing his skills with the Airbrush. 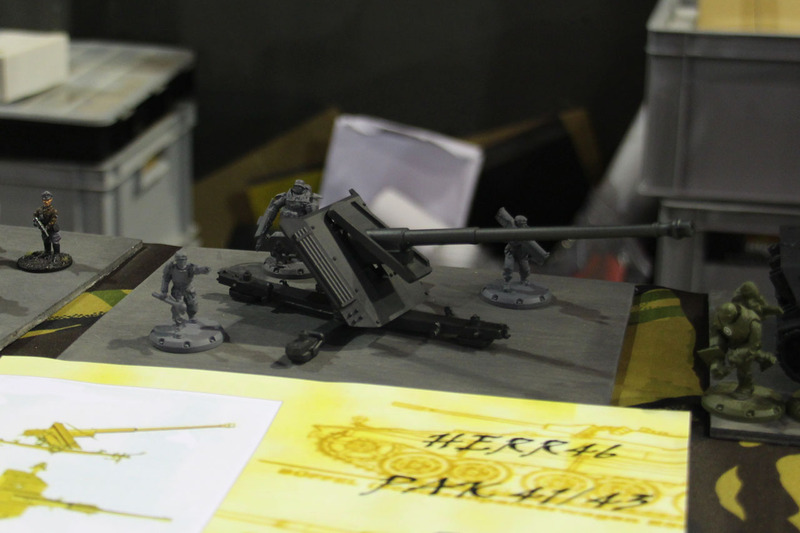 I need to convince Denis zu release the Löwe in 1:56 scale. 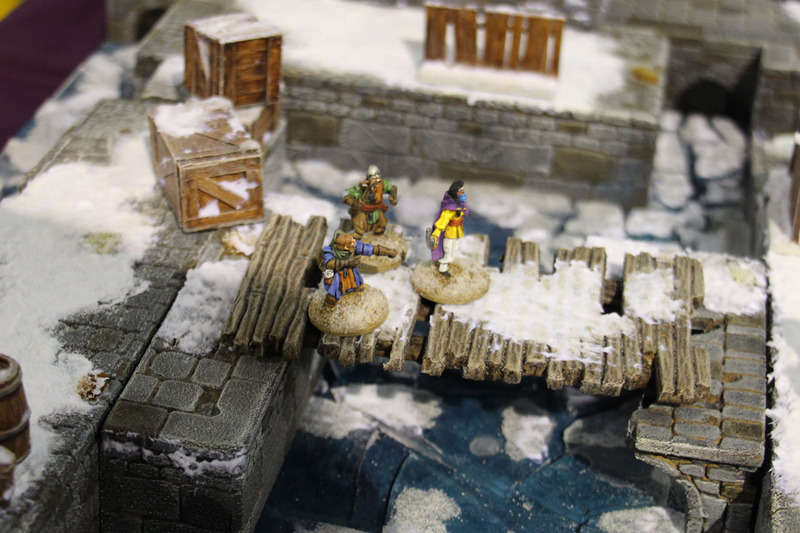 Currently running a Dicestarter is Crooked Dice, for the 2nd Edition of their 7tv Skirmish system. 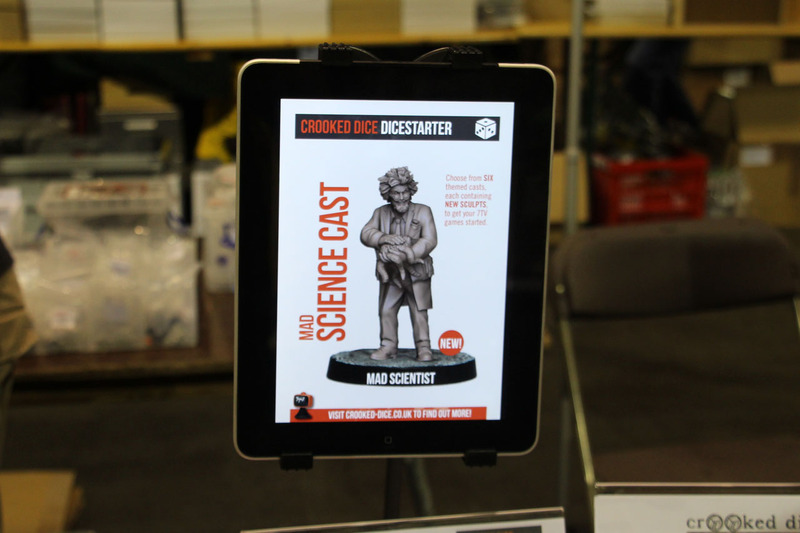 Karl showed some previews of upcoming, new sculpts for the Dicestarter on his Ipad. 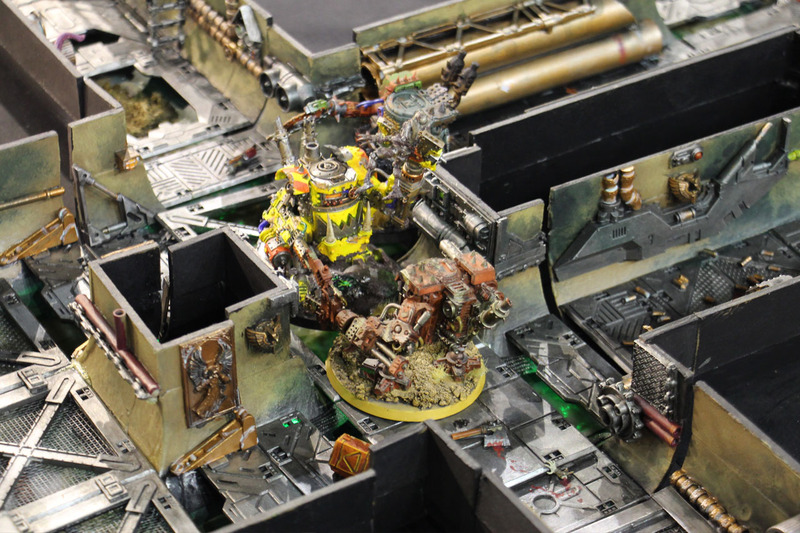 I'll keep an eye on this system! 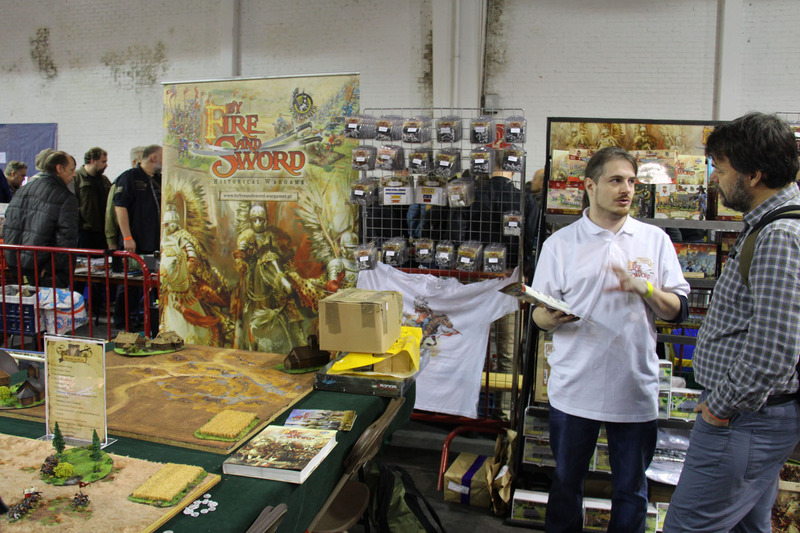 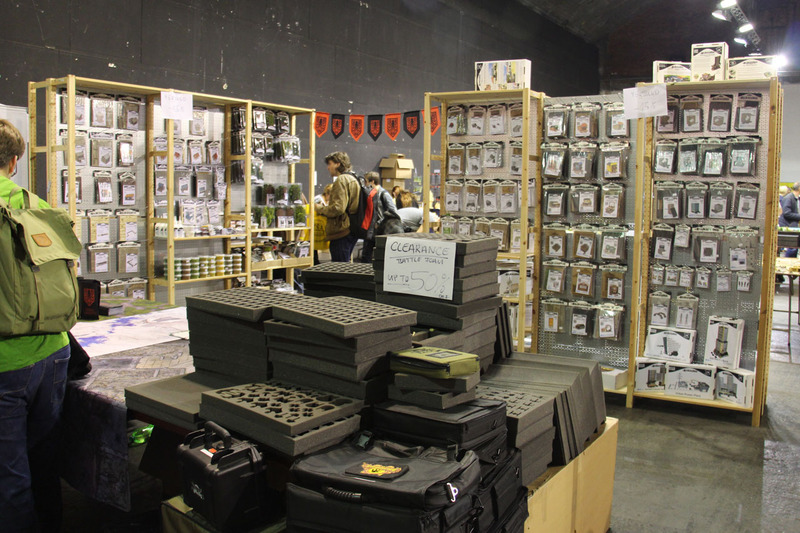 A bunch of smaller booths covered Fire and Sword, Mantic Games and Scale 75. 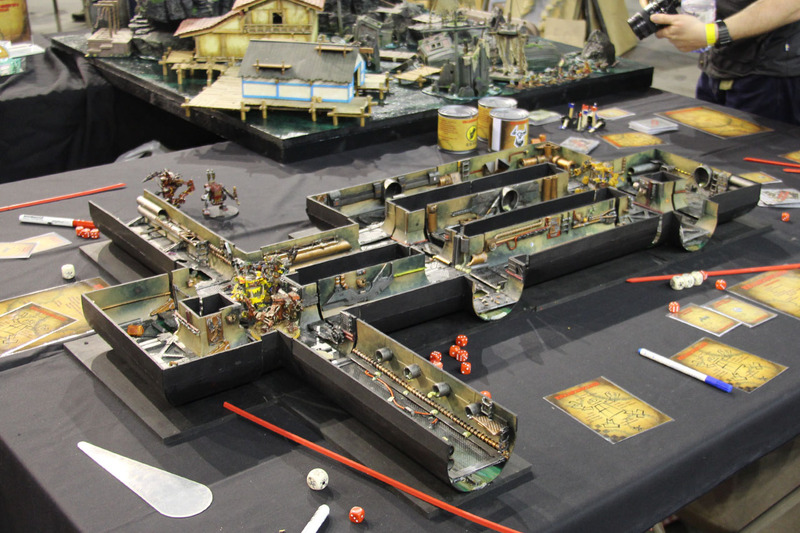 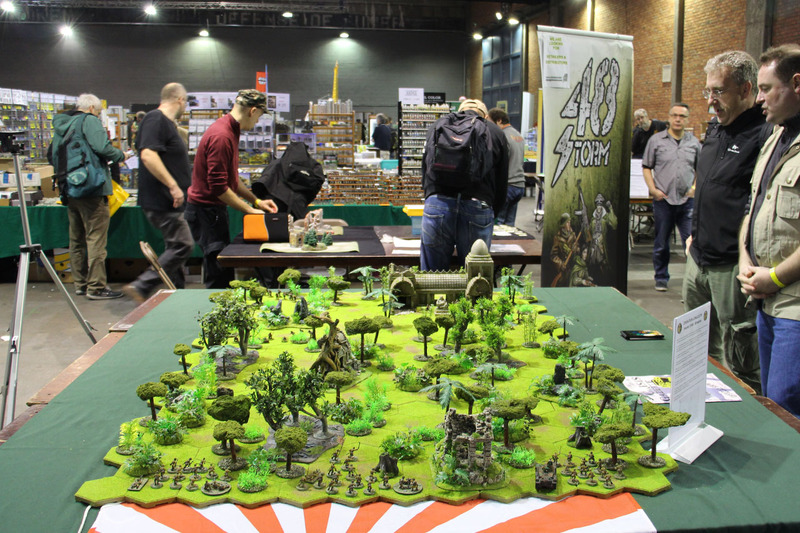 The belgian wargamer club Golden Goblins had a ships graveyard and the Killa Kan Klash! 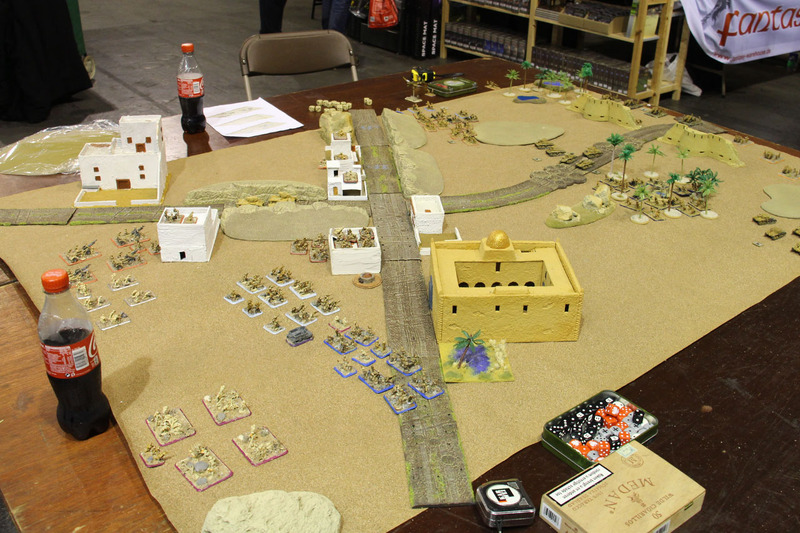 as gaming tables set up. 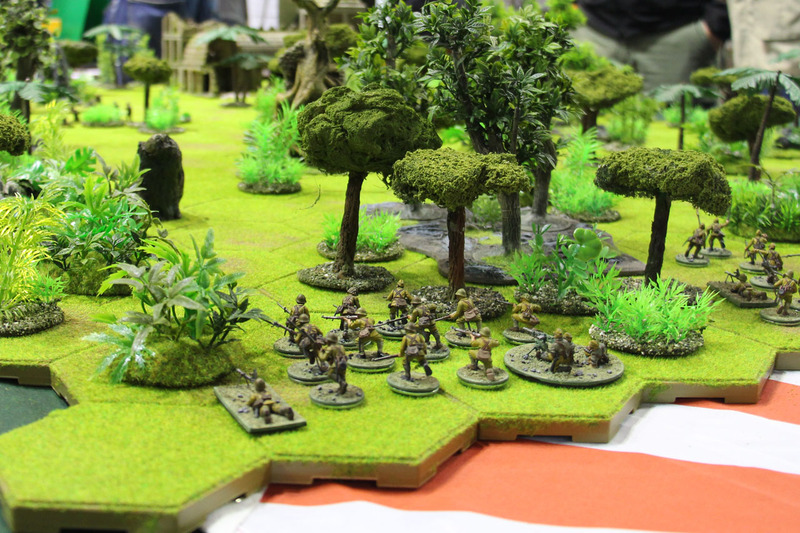 Another special guests were Gerard Boom, from Shifting Lands, with his foamboard constructs. 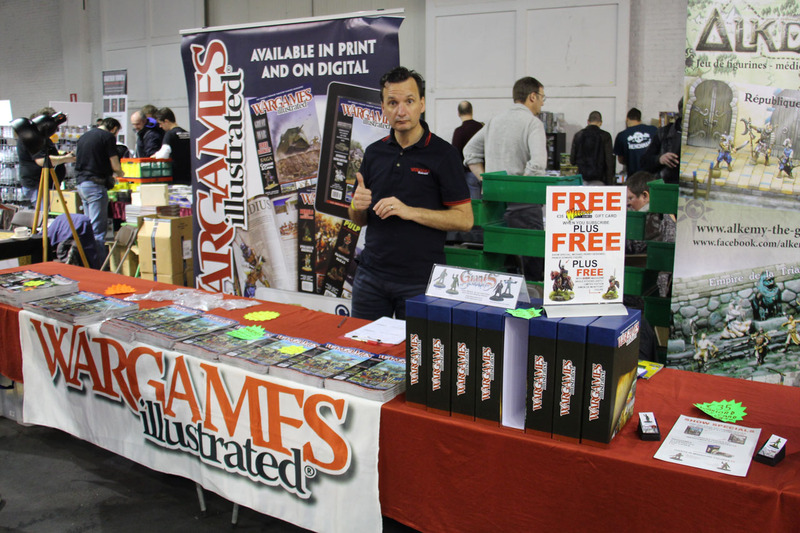 Wargames Illustrated, under new management with a brand new range of Miniatures - Giants in Miniature. 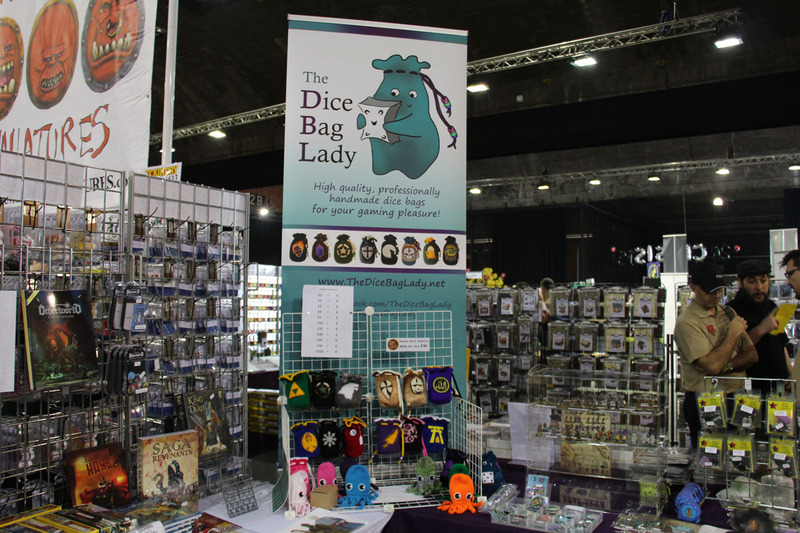 And of course, the Dice Bag Lady, she started with a large table a few years back and now has a proper booth with lots of items. 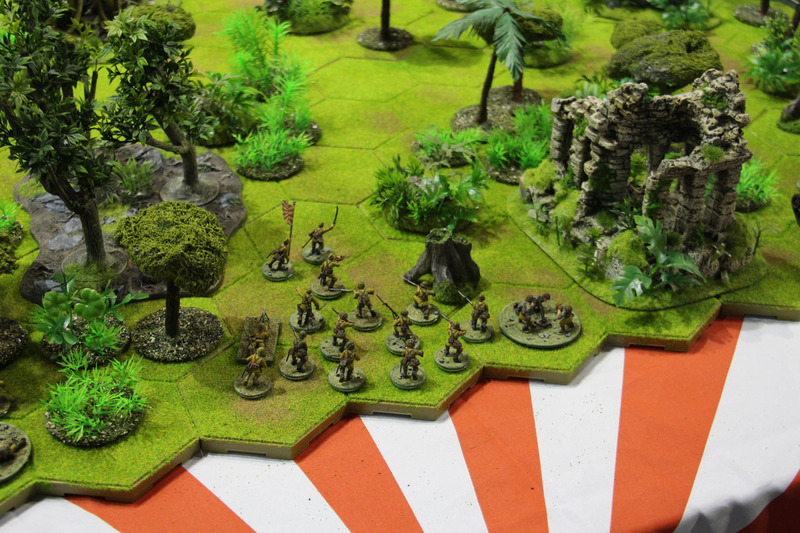 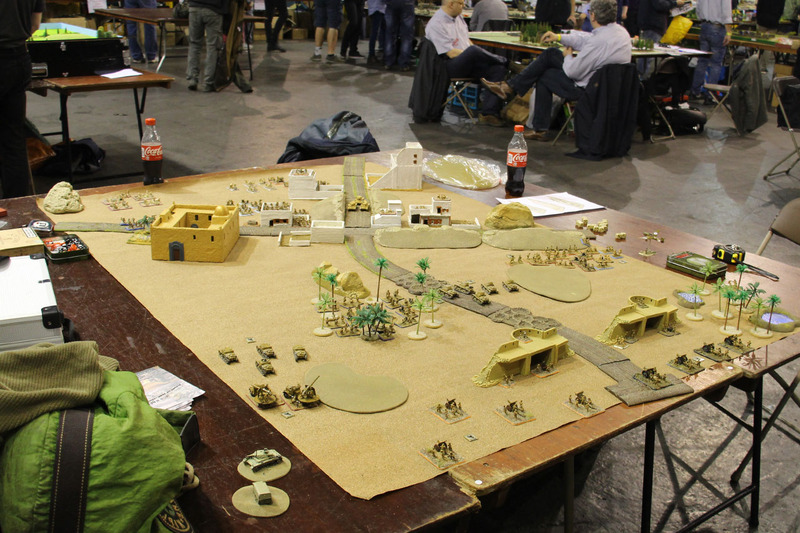 A nice jungle table from World War II, covering Bolt Action sculpts. 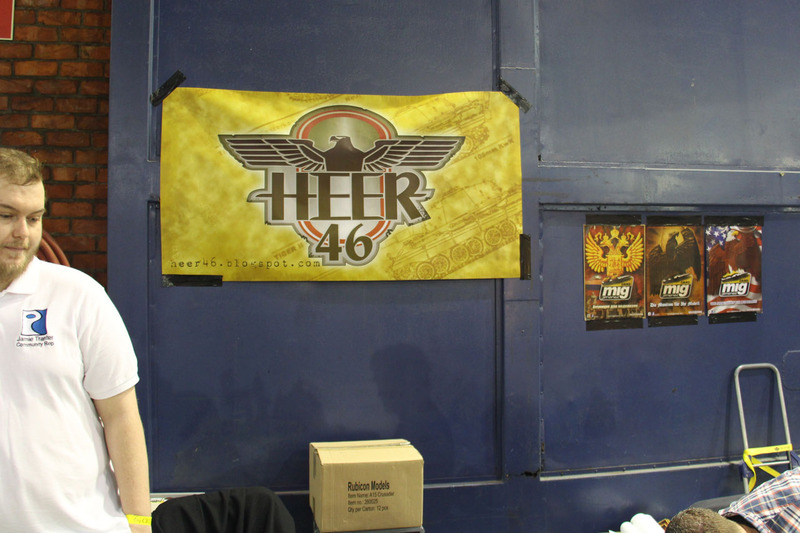 Be not irritated by the 48 Storm banner in the background, that belongs to the smaller skirmish, although set in World War II. 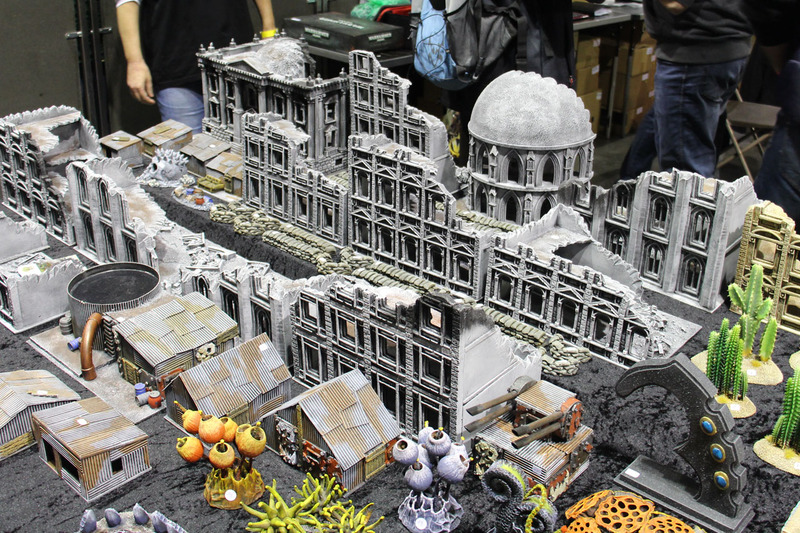 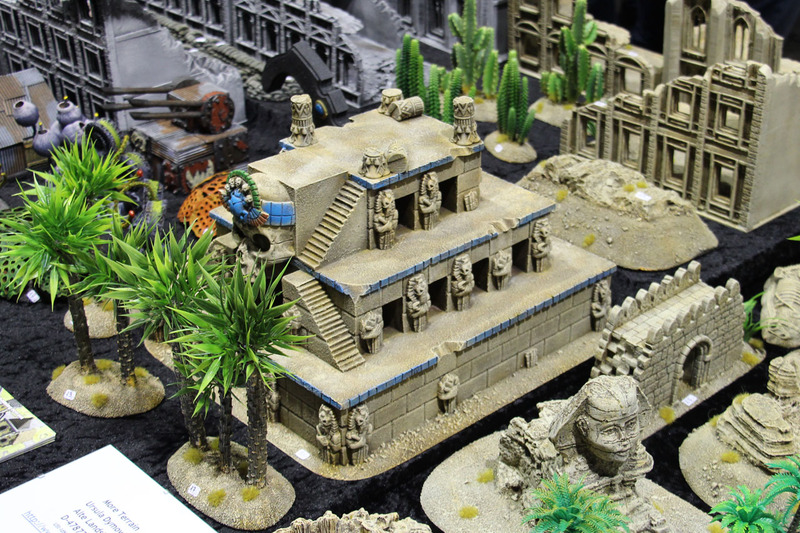 More Terrain is another regular at the Crisis, offering prepainted / battle ready terrain of different size. 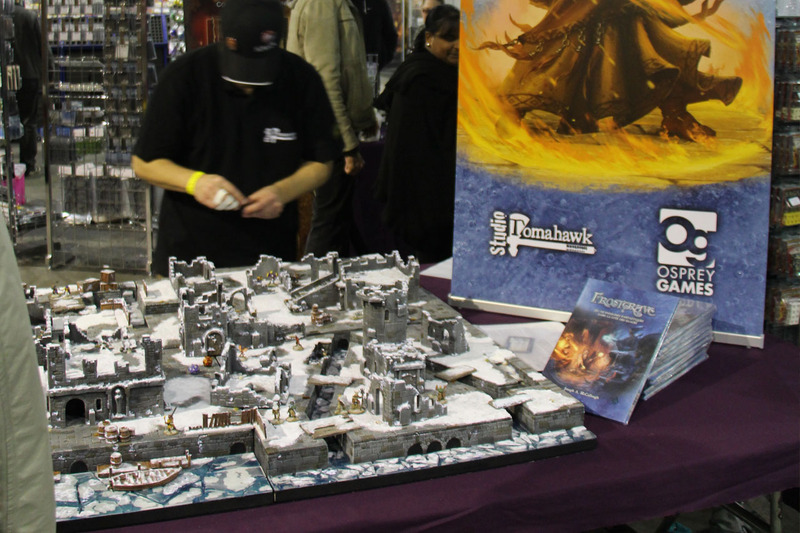 Studio Tomahawk takes care of the french translation of Frostgrave and gave the game a great impression with this lovely gaming table. 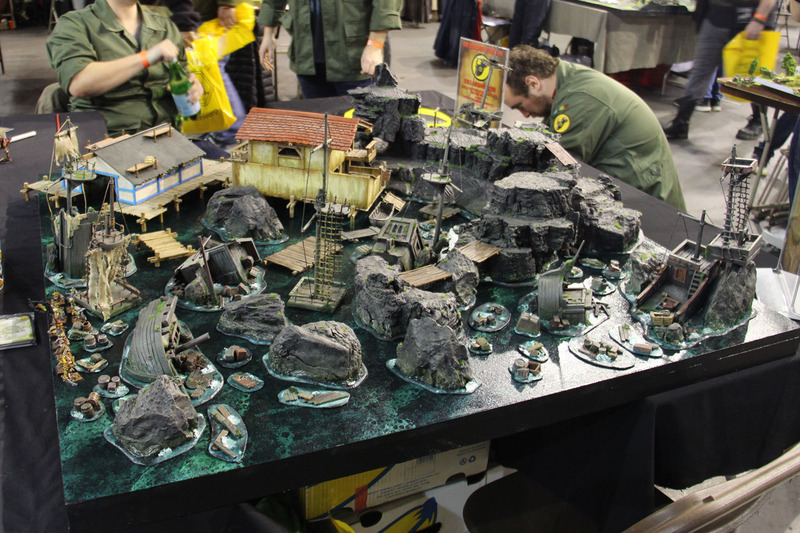 The french studio does a couple of translated, but enhanced rule sets, like Dead Mans Hand. 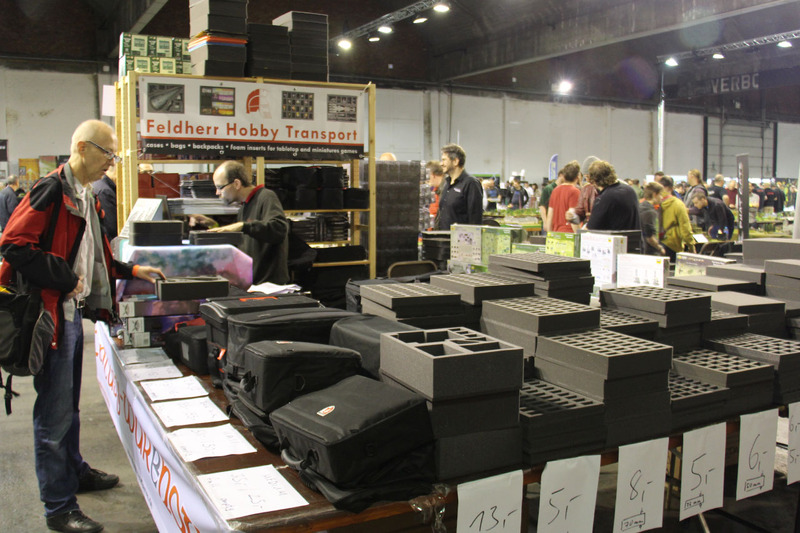 That was part II of my trip to Antwerp, get ready for the final part III next up!